The Healthy Work Campaign (HWC) is a public health campaign focused on raising awareness in the U.S. about the health impacts of work stress on working people. The campaign also focuses on the positive actions individuals and organizations throughout the U.S. can take to advance #healthywork. The Healthy Work Campaign is a project of the Center for Social Epidemiology (CSE). The CSE, founded in 1988, is a non-profit organization that has been conducting epidemiological research on the effects of work-related stress on mental health and cardiovascular disease in the U.S. and promoting public health efforts to prevent work stress-related health consequences. and Improve job quality & health in the U.S.
We are doing this by serving as a clearinghouse for research and actively translating that research into more easily understood resources, accessible tools, and actionable steps to promote healthy work. We want to inspire working people, business leaders, labor leaders, and other stakeholders to advance #healthywork for all. With your help, we can begin to prevent and reduce work-related mental health problems, cardiovascular disease, and injuries in the U.S.
Want to learn more about our campaign goals? Keep reading. Educate working people and other stakeholders (employers, labor leaders, regulators, journalists, educators, and others) about how work in the U.S. impacts our psychological and physical health, as well as the social and financial costs to our organizations, communities, and nation. We also want all stakeholders to learn about the many solutions that are available to promote healthy work. Assess the workplace for unhealthy work stressors, using online, user-friendly tools available to both individuals and organizations. The HWC is developing a Healthy Work Survey, an online, work stress assessment tool that will provide individuals or organizations with a detailed and tailored report about their unique levels of work stress. Equip workers and organizations with Healthy Work Tools including interventions that can be used to promote healthy work, healthy organizations and healthy people. Inspire action from all stakeholders—to share the message about healthy work, implement organizational change, and participate collectively to promote healthy work throughout the U.S. The Healthy Work Campaign (HWC) Team is an expansion of the Center for Social Epidemiology’s research group and is composed of key leaders, collaborators and advisors—all of whom are passionate about understanding social problems, helping people, and making #healthywork the norm in the U.S. Each member is essential to making our mission a reality. Our Partners, like our Team, are a core asset to making our mission a reality. Our growing community of partners represent the best and the brightest in the field of occupational safety and health, as well as business, labor, and the nonprofit sector. We are fortunate to have their commitment to our campaign and to the #healthywork movement, as well as their insight and feedback on our resources and direction. In addition to seeking campaign partners, we also are selectively participating in other organizational partner and affiliate programs which share our HWC mission and goals. 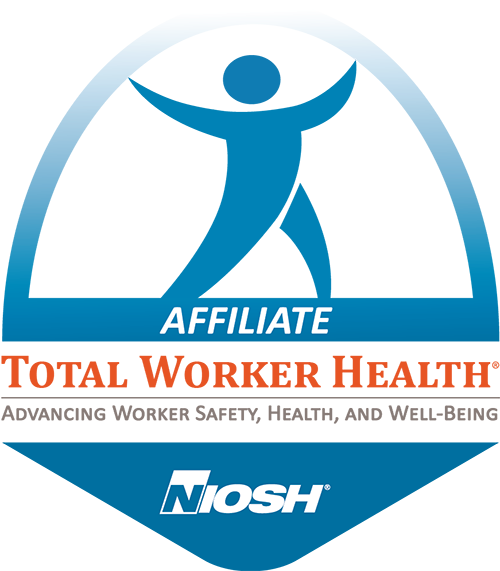 Most notably, the Center for Social Epidemiology is pleased to have recently joined the NIOSH Total Worker Health® Affiliate program. We look forward to participating as an affiliate in this program, dedicated to protecting and promoting the health and well-being of working people. We thank our partners for their support and invite you to check out all the great things they are doing outside of the Healthy Work Campaign. Want to become an HWC Partner? We are looking for additional partners who share our vision about healthy work and wish to join us to provide working people with a healthy work environment. Visit our Take Action – Partner and Partner FAQ pages to learn more.